This black marker will never get lost before the autograph session with the Globetrotter laynard. Celebrate the world's most famous mascot with your own plush Globie. Measures 11" tall. 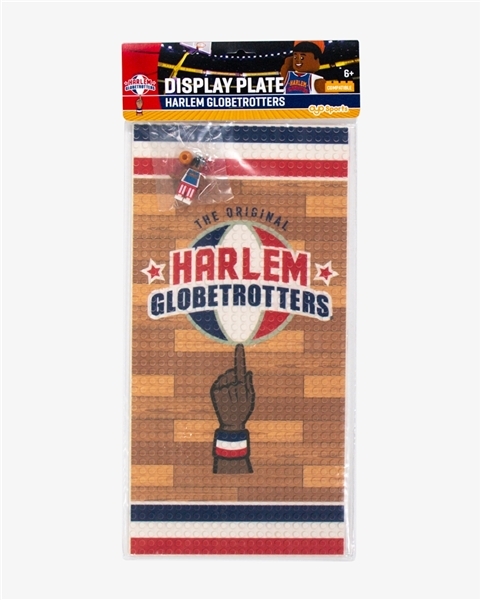 Collectors and builders alike will treasure this mini-figurine depicting a Harlem Globetrotters' player. Pose and display it on the included display plate, designed to look like a basketball court. This building toy is compatible with the other products in the OYO Sports catalogue, as well as with Lego products. For ages 6-and-up. Celebrate the Globetrotters with this royal blue ballcap. Adjusts with Velcro to fit most sizes.